Starting currency trading in Australia can be a hit or miss depending on several conditions. In the last 4 days, the Australian dollar climbs as Asian exchanges rose. According to the Bureau of Statistics, the economy of Australia has seen a nice growth of about 1.3 percent throughout the first three months of 2012. Now, despite the recent positive conditions of the Australian dollar, we can’t deny the fact that Forex trading in general is a risky venture. And before you can get started in Australian Forex trading, there would be a number of questions to answer first. How do I choose a Forex broker? What should I do before making my first trade? How do I use leverage? Let’s answer these questions at a time, in order of importance. 1. How Do I Choose Australian Forex Broker? With the numerous Australian Forex brokers, choosing the right one for your needs and experience level can seem a bit like a labyrinth. Making a decision on which broker to use is a personal thing while a certain broker works well for other people, there’s no guarantee that it will work well for you either. It’s important to review and compare several options of several Forex brokers closely and choose the one that you’re comfortable with using. Of course, you’ll want one that is easy to navigate and provides real time market updates among other features. 2. What Should I Do Before Making My First Trade? Before you actually trade real money in Australia Forex, it’s crucial that you’ve acquired enough knowledge and experience to trade profitably. And what could be a better way to achieve these than by trying Forex hands-on using demo accounts? Most Forex brokers out there offer demo accounts for beginning traders to test out the waters without the risks of losing money. During this time, learn as much as you can and test out your strategies. Now, you may be asking “How long should I paper trade?” Well, the answer pretty much depends on the trader. 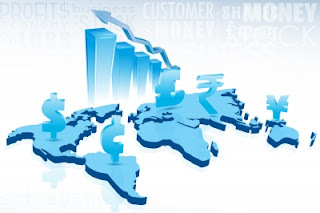 The key is to get yourself fully adept with how Forex trading works. Moreover, if you have consistently made winning trades, then this should be a good indication that you’re ready to trade Forex with real money. 3. How Should I Use Leverage? Forex traders use leverage to control large amounts of currency than they actually hold in their accounts. It is often referred to as a double-edged sword because of its capacity to create huge losses as much as it can make great profits. So unless, you’ve acquired an extensive knowledge and experience in Forex trading, it’s wise to keep your leverage at a conservative level. While it can be tempting to use a high amount of leverage, resist the urge! Failure to use leverage properly can result to a wiped account. Also, remember that while leverage is offered in almost all Forex trading platforms, it doesn’t necessarily mean that you should use it at all. If you’re not comfortable, you can actually trade Forex without leverage. In fact, by going for this route, you’ll be able to minimize your risks. After gaining some experience in currency trading, you may then consider using leverage or increase it.